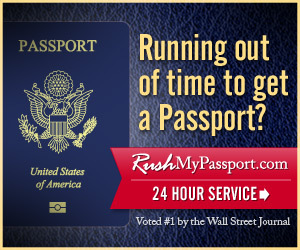 RushMyPassport.com is a trusted leader in expediting US passports! We have helped thousands of Americans get their passports on time by processing them in as little as 24 hours as seen in Forbes and MSNBC! RushMypasport.com is partnered with licensed couriers of the US Department of State with over 20 years of experience in expediting travel documents. Our service streamlines the steps of obtaining a passport by using secured online forms and offering professional customer support.